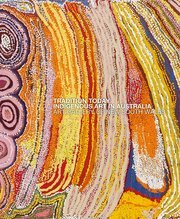 Mirdidingkingathi Juwarnda Sally Gabori was a senior Kaiadilt artist who was born on Bentinck Island in the Gulf of Carpentaria. Prior to the arrival of missionaries in the region, Gabori lived a traditional life acquiring the skills and knowledge of her people, including the arts of rolling bark string and making dilly bags and coolamons. She also played a vital role in maintaining the stone-walled fish traps on the shores of the island, which provided the majority of the food supply. In 1925 a mission was established on Mornington Island, and in 1948 the Kaiadilt were moved there due to massive flooding that impacted on Bentinck Island’s water supply. Now living on the lands of the Lardil people, the Kaiadilt retained much of their culture, but the move had a deep impact and left an immense longing for home. This attachment to country is clearly evident in Gabori’s bold canvases, which are a celebration of her homeland and evoke the vivid landscape of this saltwater Gulf country. Gabori began painting in 2005 after materials were made available to her at the Mornington Island Arts and Crafts Centre, where she worked. She was introduced to the centre as a weaver. However, she soon began painting on canvas and, like many artists who come to painting late in life, her works demonstrate a confidence and energy derived from a lifetime of experiences distilled to their most potent visual form. In this work bold elements of vibrant colour interspersed within a vast field of textural white paint dazzle the eye with their luminosity. The expressive application of paint in thick brushstrokes that create overlays of colour show the immediacy with which Gabori works and indicate her enjoyment in the act of painting itself. Over time Gabori has eliminated the surplus detail from her work while exploring the potential of her painting technique to dramatic effect. However, her focus on her homeland remained at the heart of her practice and one of the most rewarding outcomes from her artistic success was her ability to visit Bentinck Island more readily.